The 2019 Baleno hatchback is offered in 6 colors including 2 new color option Pearl Phoenix Red and Magma Grey. For complete list of Baleno colours check below. 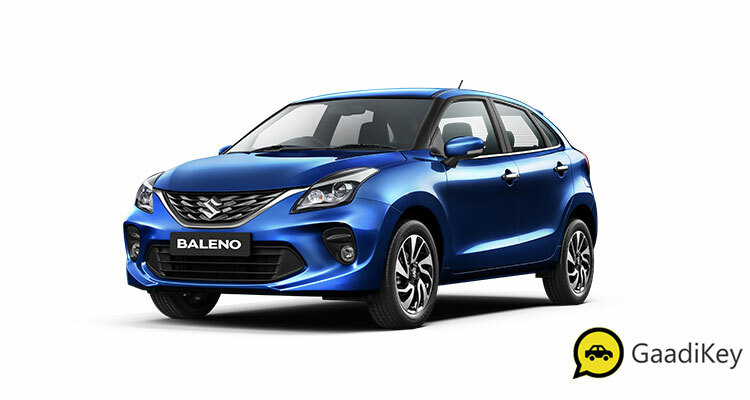 Get Maruti Baleno for Test Drive! Provide your details so that we can arrange a test drive of Maruti Suzuki Baleno for you at your city! 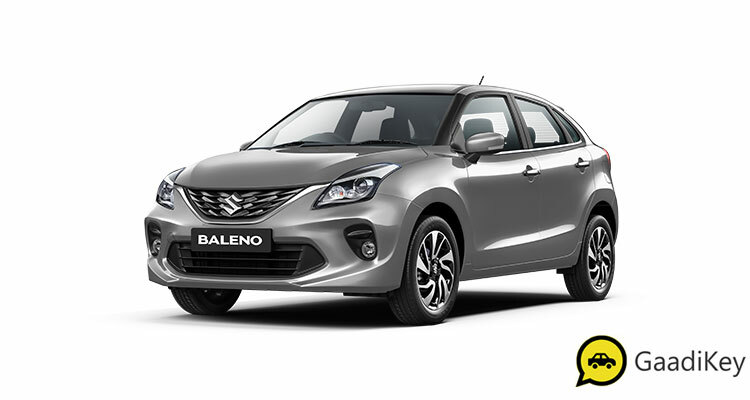 The updated version of Maruti Suzuki Baleno (2019 model) is available in previously offered Orange color option. The New Baleno 2019 model can be purchased in Premium Autumn Orange Color. Check out the photo of all New 2019 Baleno in Orange colour (Premium Autumn Orange). The updated 2019 Baleno by Maruti Suzuki gets the Metallic Magma Grey color option. This Grey color continues to be seen in 2019 Maruti Baleno model. Check out the photo of 2019 New Baleno in Grey Color (Metallic Magma Grey) color. Please note Magma Grey offered in new 2019 Baleno is a metallic color. The premium hatchback, Maruti Baleno gets Premium Silver color option to choose from. The New 2019 Baleno is available in Silver color option which is again a metallic color. Check out the photo of new 2019 Maruti Baleno in Premium Silver color variant. Please note this is a metallic color. White is a very important diplomatic, family color preferred by many. The Pearl Arctic White is a very peaceful color. 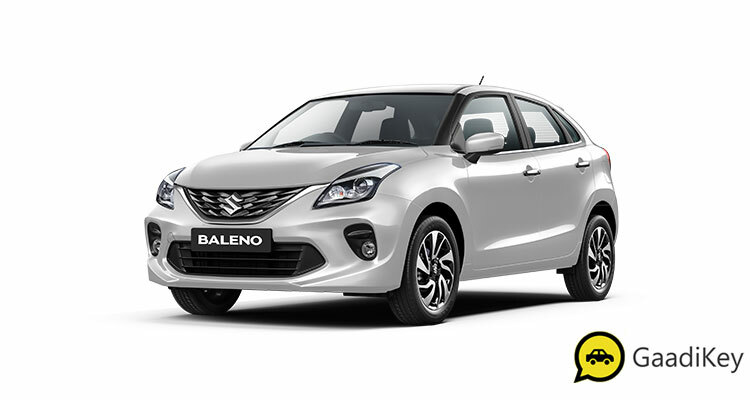 The updated new 2019 Baleno is available in Pearl Arctic White color option. Check out the photo of new 2019 Model Baleno in white color variant (Pearl Arctic White). Out of 6 different color options offered in new Baleno, which color variant impressed you? 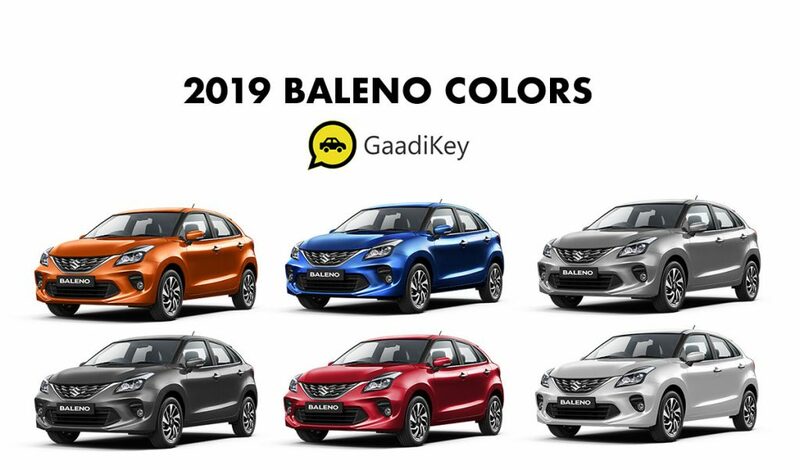 Which Baleno color are you choosing? Do let us know about your color selection by commenting below.